I may be mistaken, but I think this is the 18th set of Labbits that Kozik and Kidrobot have released this year. I just got excited about the last two and the BAM I see these guys. 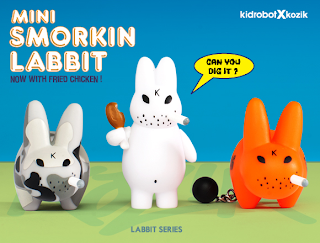 I guess Labbits and Rabbits the same tenacity for breeding. One thing I noticed about the these guys is there are a few that are standing up like people. And just like people they are all about yummy fried chicken. It's nice to find things in common with your toys. 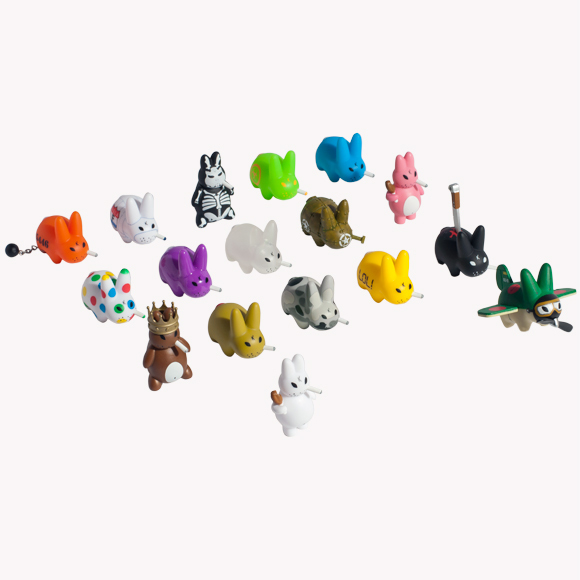 You can beef up your bunny collection August 9th for $4.95 per blind box. 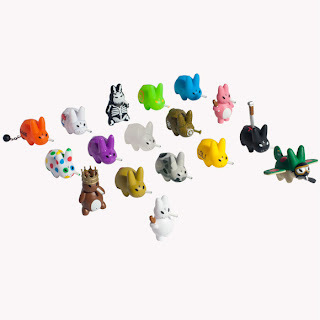 Zukie DIY Show at Toy Tokyo Tonight! Dudebox is Our Newest Sponsor! Stinky Poo by Bored Inc.